Dr. Mitchell has over 43 years of experience in the ministry. She is the senior pastor of Judah Worship Word Ministries, International in Fort Lauderdale, Florida. The church is located at 4441 West Sunrise Blvd., Fort Lauderdale, Florida 33313. You can see and hear Dr. Mitchell on Sundays @ 8:15 AM and on Wednesdays @ 7:30 PM. She is an author and writer of Inspirational Christian books: "Life Savers", "Missing Pieces", "The Awesome Word of God", and "The Names of God Prayer Journal". A woman of entrepreneurship, she has produced many CD's and DVD's on teaching and preaching from the Word of God. They are anointed and filled with revelation that will have impact on your life forever. Dr. Mitchell is a lover of God's Word and a strong believer. She teaches that by faith we have been redeemed from the curse of the law, redeemed from poverty, sickness and death. "If we will be like Christ then are we Abraham's seed and heirs according to the great promise. Through personal experiences Dr. Mitchell knows that God is more than enough. She has traveled throughout the United States, as well as Israel, Greece, France, Jamaica, South Africa, and the Virgin Islands proclaiming Christ as the only Savior, only Source, and the One and only Redeemer of people everywhere. 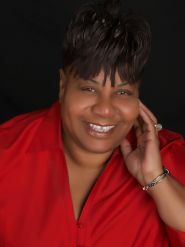 Dr. Mitchell is an anointed Pastor, Teacher, Evangelist, Prophetess and Author. She is willing to serve God's people everywhere. God has given her a ministry to bring Healing, Restoration and Hope.